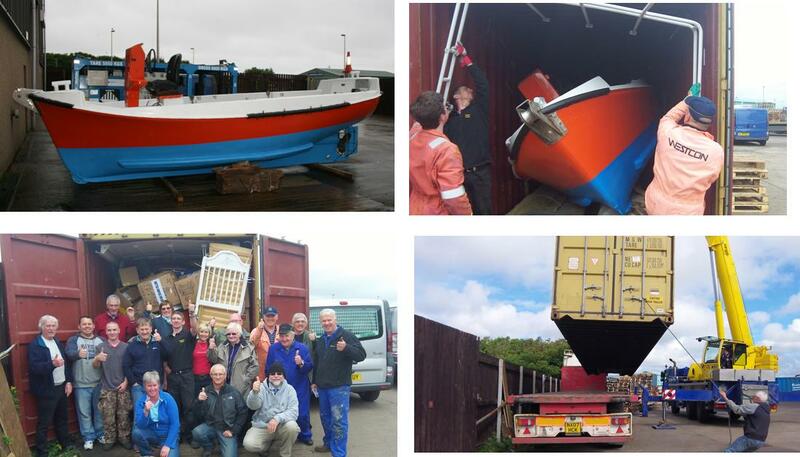 On 13th July, the new “Robert Laws” was packed into a container at Macduff along with a dental chair and other equipment and set out on its long journey to Lake Malawi. Once there , the “Robert Laws” will be reassembled and will join the “Good Hope” as a marine ambulance although it will be stationed further down Lake Malawi at Tcharo. The boat, a redundant ship’s lifeboat, was acquired by John Watt of Macduff Shipyards who altered and renovated it to be suitable as a marine ambulance. John Watt will travel to Malawi later in the year to oversee its unpacking, reassembly, dedication and launch. We wish the “Robert Laws” God speed on her journey to Malawi and pray that she will prove as big a blessing to the shore villages of Lake Malawi as her sister the “Good Hope”.